Stunning 3 Bedroom, 2 Bathroom cabin in High Country Pines. Beautifully treed .54 acre homesite that backs to the greenbelt, located at the end of a quiet cul-de-sac and is walking distance to the National Forest. This home boasts a great room design with a wood burning rock faced fireplace and hearth, ETS (high efficiency) heating, wood flooring, knotty pine ceilings, exposed wood beams, ceiling fans, spacious master suite with a sitting area and walk-in closet and the cabin is wired for a security system. The exterior features an extended full length front deck that allows for forever tree-top panoramic views. Also, a metal roof, low maintenance Masonite siding, and a 2.5 car garage. This is a perfect get-away cabin. 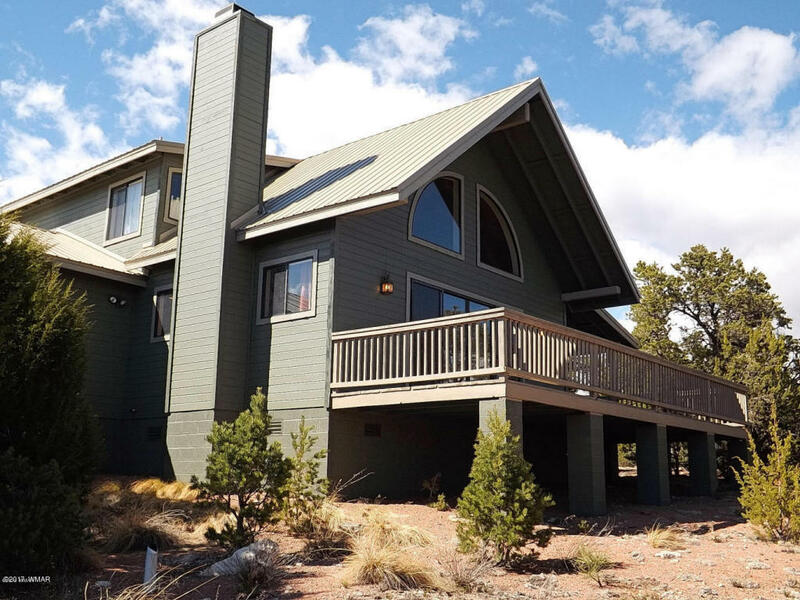 High Country Pines is located in the Rim community of Heber AZ.